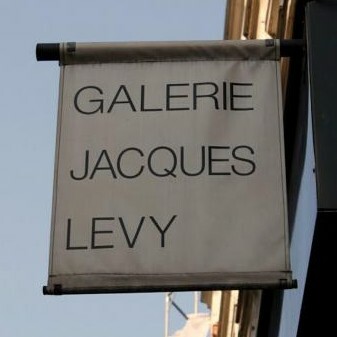 Lydie Calloud Galerie Jacques Lévy Paris 62 rue Charlot, Paris 3ème. For Lydie Calloud basic harmonies transcribe the joy at being alive that we find in the banality of the everyday. 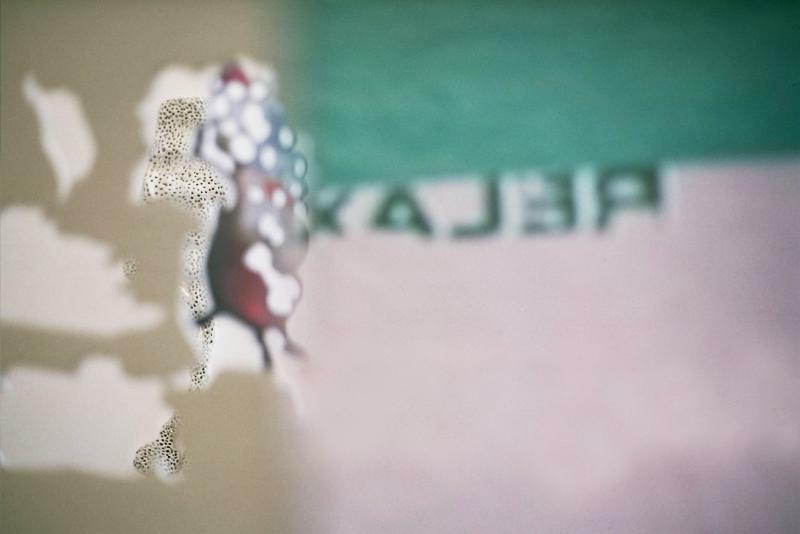 She creates fragments and extracts of movements, faces, postures, shapes and light. She paints, sculpts and photographs the essence of life. Her studio is sometimes too small for the kinds of sculptures she thinks about making. The fragility and sometimes precarious coherence of the stuck-together parts of the sculptures speaks of the fragility of life and the fugacity of the attitudes she captures. In her paintings and photos, greys often sweep through the fiords of pure colors. The immensity is occasionally reinforced by sticking a figure in the foreground, a “rampart” against the high heavens where silence reigns. It’s at the moment when there are no longer any subjects that the subject appears. Perhaps it can thus serve to place human beings (even they are not presents in the opus) at the threshold of a complex ensemble that overwhelms them, at the heart of the infinite. The infinity of the monochrome, the infinity of those shades of gray forming a network of lines that assures the passage of the real to the construction of a painting, a sculpture or a photo. 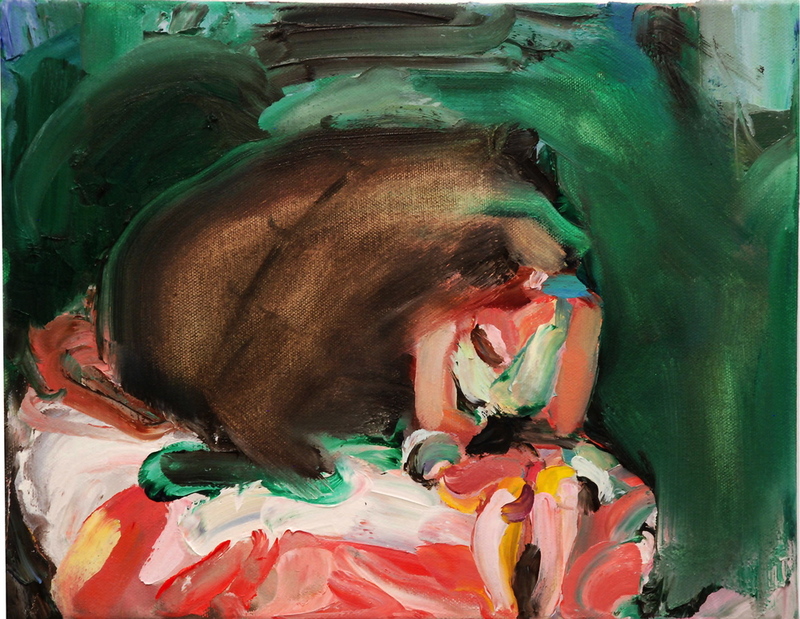 In one of her most famous series Hilja Keading raises the questions of difference, and the link between being and the bear. This type of questioning artists often deride. The Us pushes to reverse into the mysteries of a metaphysical distinction in the field of nature and art (performance in her case). She finds herself in a room she shares with Bonkers, a brown bear of indeterminate age. His video “The Bonkers Devotional” tells this story as a thriller in Hollywood fashion, but with a lot of irony. More than a tribute to Joseph Beuys and his coyote (see “I Like America and America Likes Me”), the work combines both the conceptual and emotional by a metaphoric and comical effect. The story is not heroic, political or self-mythology: the artist proposes a kind of self-portrait in primitive fashion but in a postmodern reconstruction. Dans une de ses séries les plus célèbres Hilja Keading pose la question de la différence et le lien (étroit) entre l’être et l’ours. Ce type d’interrogation, les artistes la tournent souvent en dérision. L’Américaine la pousse à l’inverse jusque dans les arcanes d’une distinction métaphysique dans le champ de la nature et de l’art (performance dans son cas). Elle se retrouve dans une chambre qu’elle partage avec Bonkers, un ours brun le temps d’une période indéterminée. Sa vidéo “The Bonkers Devotional” raconte cette histoire sous forme de thriller à la mode hollywoodienne mais avec beaucoup d’ironie et selon un montage des plus astucieux. Plus qu’un hommage à Joseph Beuys et de son coyote (cf. « I Like America and America Likes Me ») l’œuvre associe à la fois le conceptuel et l’émotionnel par un effet métaphorique et comique. L’histoire n’est ni héroïque, politique ou auto-mythologie : l’artiste propose une sorte d’autoportrait à la mode primitive mais selon une reconstruction postmoderne. Hilja Keading with Bonkers, a brown bear. Q) What makes you get up on morning? A) They were forgotten and then rediscovered. A) The illusion of control. Q) What distinguishes you from other artists? A) I don’t know. I think we all have the same desire. All I know for sure is my current intention, which is to record and present “reality” as a psychological concept, and question the difference between the sacred and the profane. A) I work every second of every day, but I don’t think of it as work. I like the way Lewis Hyde writes about the difference between work and labor. And you know what they say, if you love what you do, it is not work. A few years ago we moved into a house where we converted an old stable in the back into two small studios. I am just now beginning to be fully present wherever I am. Before, when I was in the kitchen I used to think “I should be in the studio.” Or if I was in the studio, I would think “I should be cleaning up the house.” Now, I just trust that I am in the right place at the right time. A) At this point, I would write anybody. A) This changes often and my musical tastes vary. But, without a doubt, there is never a day when playing Led Zeppelin nice and loud doesn’t make me feel better, and there is never a day when playing Glenn Gould or Nina Simone doesn’t stop me in my tracks. Q)What is the book you love read again? A) Good question. Lately, there are no words for it, it is more like a feeling that is expressed through a face that expresses 50+ years compressed into an instant. A)Joseph Beuys and Joan Jonas inspire me. Q)What film make you cry ? A) The Stalker. But a different kind of cry − an internal one with internal tears. A) A magical trip where I could go back in time and re-do a few things. Q) What do you think of when you read this sentence of Lacan: “Love is giving something that we don’t have to someone who does not want”? A) If you can give it, then you have it. You’d be surprised at the depth of love and what transpires when you are in its depth. And Woody Allen: “The answer is Yes but what was the question?” Yes. Q) What question I missed ? A) If I was preparing a list of questions, I would probably ask “what changed?” And if someone asked me this question, I would answer what changed is I realized the best thing for me to do is to ask myself every day, “What kind of life do you want to have today? How do you want to show your love?” Of course, this is on a good day. Jean-Paul Gavard-Perret is a contributing editor of the column “On Location/France”. You can read more about him in About Us. 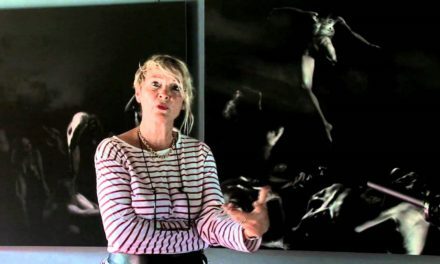 Artist-writer-photographer Helene Gaillet is a frequent contributor to Ragazine.CC of translations. You can read more about her in About Us.